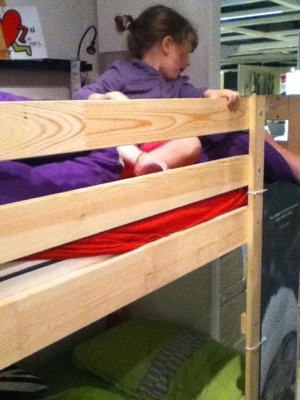 H is getting bunk beds for her birthday. 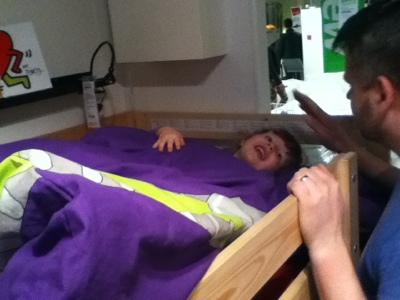 I realise this sounds like a pretty awful present, but being of a practical nature, and knowing it’s something which will last, I think it’s a really good one – plus we’re getting relatives to chip in so she can have some really nice bedding too, which to me has to be a good present, especially when her room gets colder (though actually it’d be nice to get warmer first). 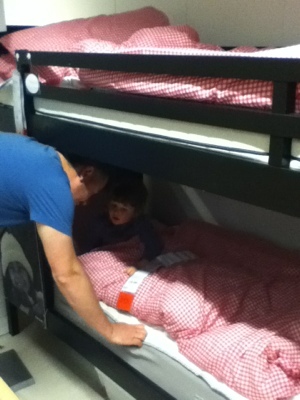 So here’s our first trip to Ikea looking at bunk beds. 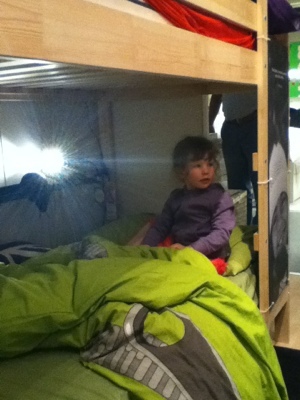 So far we like the dark framed one which also happens to be the most expensive one, though the top bunk was quite low. 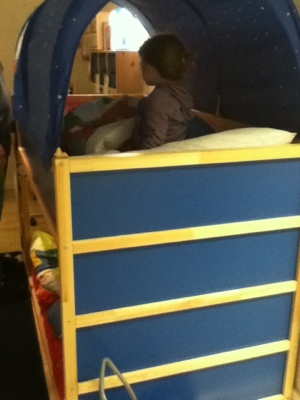 The cheapest one (wood frame) had no guard at the back, so potentially her pillows will fall off. Still, it’s a start. 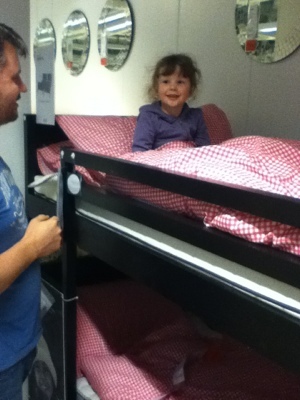 To H and several other toddlers, the bed department was the best playground ever – like a huge soft play zone with no ladders and only parents to catch you. 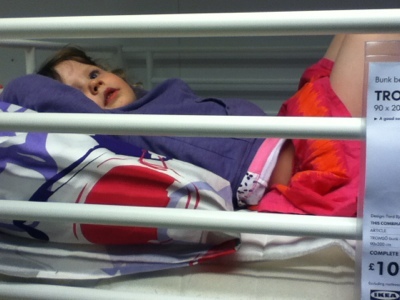 They all met on the beds and bounced around on their stomachs, loving every minute of it while all us parents watched, none of us knowing each other. It was quite fun, actually.